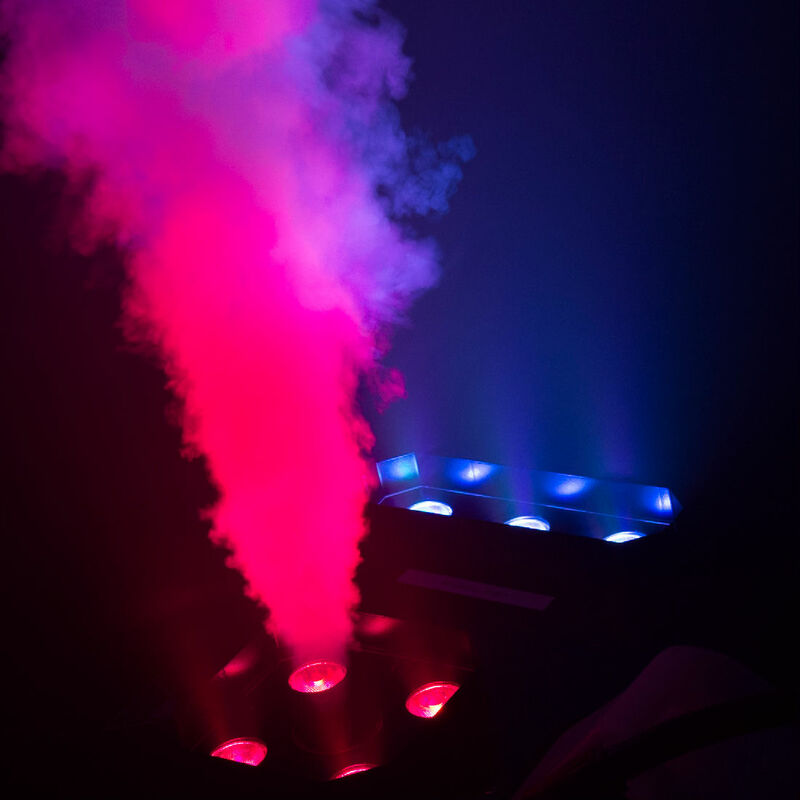 The NEW Vesuvio II illuminates bursts of fog with advanced RGBA+UV LED color mixing, providing ferocious effects for events and performances. Featuring an impressive 40,000 cubic feet of fog per minute, it boasts a best in class 40 seconds of full burst output. New dual LED sections give greater creative control for a more even coverage of light. 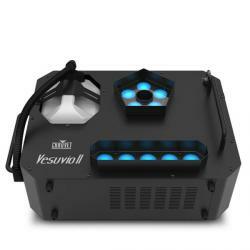 The Vesuvio II is built for efficiency, consuming only 80ml/min of QDL fluid. This highly versatile unit can run in three different positions: vertically, horizontally or from overhead with mounting brackets. 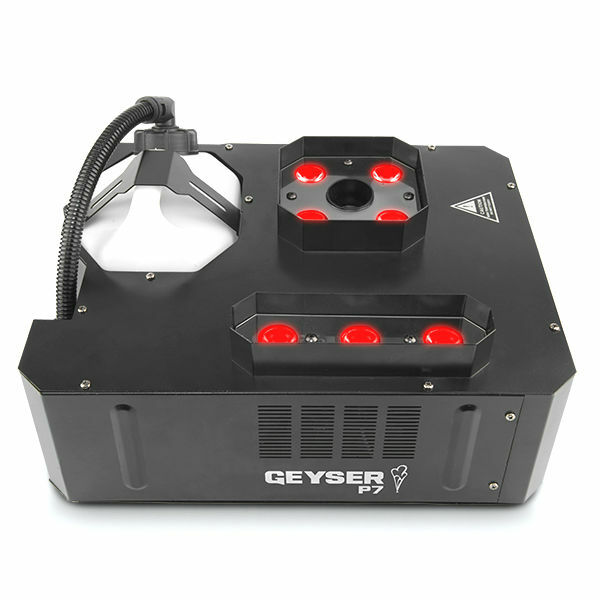 It works best with the FG05 quick dissipating fluid.